The origin of the demanding concept that we apply in Del Nomade Eco-Friendly Hotel is generated simply by the power of observation. Enveloped by a magnificent natural landscape, extreme weather, austere nature and scarce resources, we decided to build with creativity and projection, knowing that every item we add to the work should serve to maximize efficiency in the consumption of non-renewable resources. We also seek the flexibility to accept installation of innovative concepts to ensure continuous updating of technology, constantly keeping at the forefront of sustainability, with an investment of just 5% more of the total cost of the building site. New renewable energy resources are appearing constantly and we want to be able to install, add value to the concept and minimize the footprint that our business inevitably generates. We educate and promote the use of these technologies, so that they can be applied to other ventures, private homes, or any building that requires them. 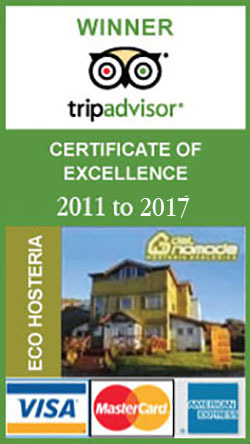 In this memo ,we share with the world sustainable bases that support Del Nomade Eco Friendly Hotel. 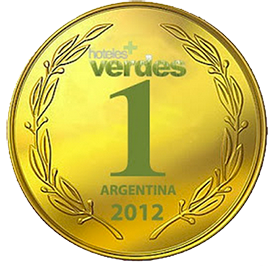 We are pleased to be able to share our ideas and concepts through this text, to encourages the spread of greener hotels. We expect projects to multiply with this guidance and our experience is at the disposal of all those who are attracted towards sustainability. As you continue reading, I invite you to ensure a room in our Eco Hotel, to experience in person this paradise. 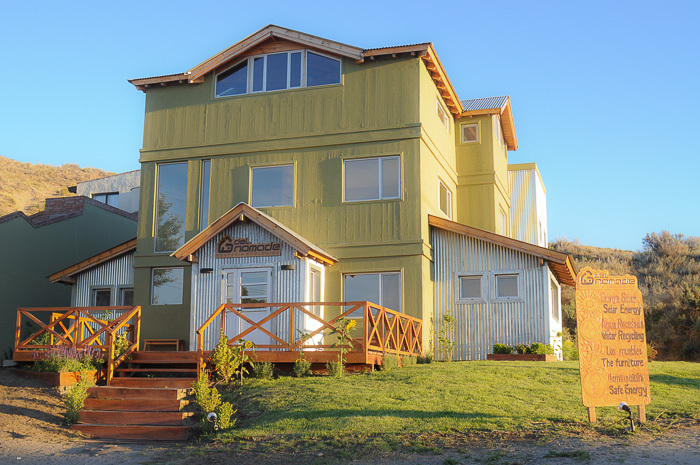 Just visiting this links Reservation On Line, you can see, availability, prices and services. This is our system of application of renewable energy in summer. With cooling and domestic water. …and this is the system of treatment and reuse of sewage water. 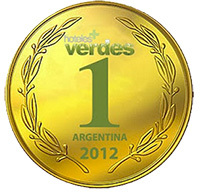 The annual HOTELGA event, which brings together the hotel and gastronomic industry of Argentina, held the first contest of greenest hotels around Argentina in 2012, in the Rural of Palermo, Buenos Aires, where we won the first prize and Alejandro Avampini received, after the presentation, the prize.